DT readers who live in parts of the country that do not use road salt in the winter will breathe a sigh of relief after reading this piece. Parts cars are a great resource for keeping other cars on the road if you actually get around to using them that way. Today's pair of Jags is what happens when you double down on a problem and then do not get around to actually fixing anything. 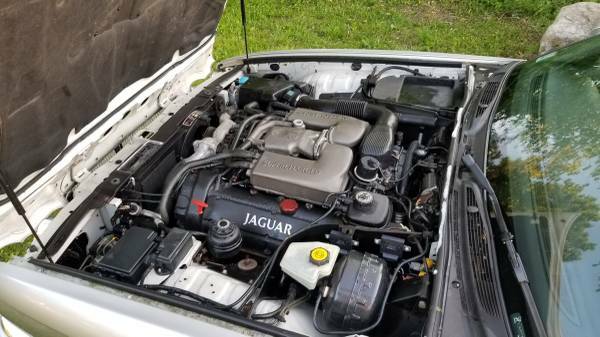 Two needy supercharged XJR's for cheap is a tough sell logistically for most any buyer- two trips for pick up, two parking spaces, double the issues to address, etc. 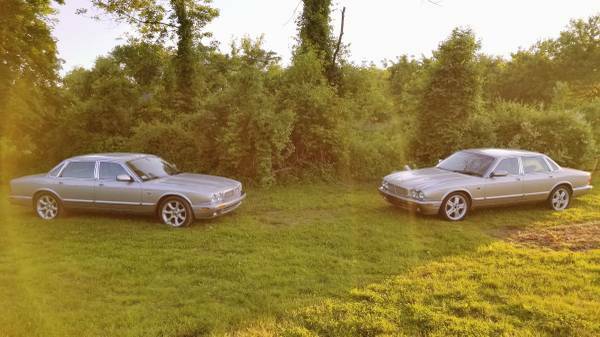 Find these 1999 and 2000 Jaguar XJR's for sale in Rowley, MA for $2,000 via craigslist. 2 cars, one money. 2000 Jaguar XJR and a 1999 Jaguar XJR. 2000 was my daily driver for the past 4 years. I bought it from Exeter Jaguar and it was a one female owner trade from Rye NH. I am the second owner. You can have Exeter Jaguar run the VIN and there are PAGES of records. One squeak or tick and it was brought in. I bought the car and drove it right up until February of this year. Went in for an inspection and was notified it would not pass due to rust. Car needs rust repair..to the floors, drivers fender, rear corners and strut towers. After sitting for 4 months I think one of the brake calipers is on its way out as things dont feel right. Car has 172k miles on it and its time for a little love. I have in the past replaced the pads and rotors with cross drilled ones, recently installed a new alternator, have performed regular oil changes, replaced plugs and wires, and filters. I am including new Jaguar end links and sway bar bushings. This car runs out strong and shifts beautifully. Sadly it is in need of some major rust repair. I'd probably do some front end works as well. 1999 is a 87k mile car I bought with the intention of repairing. 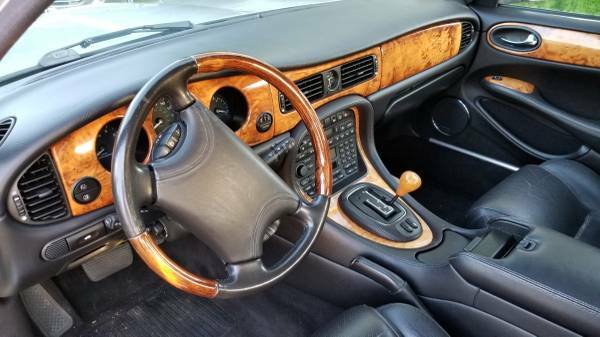 This car has a Fabulous interior, and is rust free with the exception of the drivers fender. The bad...needs fuel pumps and a head gasket job. I backed into it with my van...total dumbass move. Needs headlight setup, drivers fender...rusted anyway and some work on the hood. I replaced several relays, ground strap and starter. I thought at one point Id do an engine swap but I bought a 2005 XJR so thats off the table for me. I have clean titles for both in my name. The 2000 is still registered and insured. It can be driven for short distances I would assume before front caliper starts to act up. With both cars for sale as a package there are options. Motor swap into the 99 with a little body work repair OR part out the 99 to subsidize the repairs of the 2000. Either way I want off both cars and am Not looking to separate them. Price is fair considering what you are getting. Don't waste your time with ridiculous offers. Don't waste your time texting or emailing. I will NOT answer them. No, you cant perform the work in my yard...yes Ive been asked. No I will not take any trades. Cash Only. No I do not need help selling my cars. No there is nothing else for sale even if you think you see something else in the pics you like. No I will not accept deposits and hold the car for you. No I will not hold the car while you wait for your next paycheck. No I do not deliver. No you cant drive them home...well maybe the 2000 but I wouldn't recommend it and definitely not the 1999 as it does not run. There appears to be a gold mine of individual parts on the two cars. However, if you do not have the time or space to run your own Jag "pick your part" biz these cars may sit on CL for quite a while. Rust never sleeps and it appears to have taken its toll on places you would not expect to see on these two cars. The road salt used in the New England area is like Pacman on sheet metal. It would very likely be easier and quicker to sell each car individually rather than as a pair. Can you ever have too much champagne? Yes, yes you can. And it gives you a horrible headache.